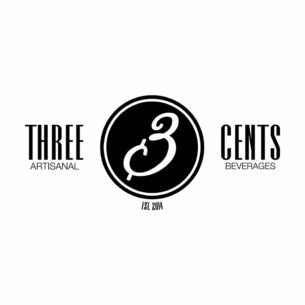 Three Cents Beverages is a premium mixer company founded by 3 bartenders trying to impart the science of carbonation in a beverage line that can create some of the bubbliest long drinks around. Everything started when the founders were making their famous Pink Grapefruit Soda by hand in their tequila bar in Athens, back in 2014, for their Palomas. Not much has changed since then as Three Cents continue to be 100% natural with no preservatives or artificial colorings. The company is now based in the UK and exporting in 31 countries all around the world. The line consists of the Pink Grapefruit Soda, the Gentlemen’s Soda, the Tonic Water, the Aegean Tonic, the Lemon Tonic, the Ginger Beer and the base sparkling water for all the products which is called Two Cents Plain.